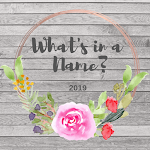 A Climate of Fear by Fred Vargas covers 'France' in my European Reading challenge which is being hosted by Rose City Reader. Alice Gauthier has a letter to post. She knows something about a group trip to Iceland when twelve people were stranded on an island for weeks, in dense fog. Two people died but the truth about their deaths has never been told. A few days later Alice is found dead in her bath, on first inspection, suicide, but it's not. Another apparent suicide takes Commissaire Adamsberg to the recipient of Alice's letter, Henri Masfauré, and his counrty estate. This suicide victim was also in Iceland. And what's the mystery about the parentage of the surviving son? Why can't he remember the first five years of his life? Adamsberg is contacted by one, Francois Chateau, and the mystery deepens. Chateau runs a sort of secret debating society where people reinact scenes from The Terror... part of events that took place during The French Revolution. The society is deeply secretive, divisive, and rather dangerous in Adamsberg's opinion. The members seem to take performances rather too seriously. Chateau tells Adamsberg that he recognises the two suicide victims and thinks there's another possible victim. The investigating team now have two mysteries to investigate and no idea which is relevant or where to turn. Local Iceladic villagers think the two deaths on the island were caused by a demon known as the afturganga. Are events in Iceland the key to this mystery or the French Revolution secret society? Or is there no connection whatsoever? Why have I waited so long to read another Commissaire Adamsberg novel? I read the first book in the series, The Chalk Circle Man, in Feb. 2010! I enjoyed it a lot and made plans to read more but never did. It was Margaret at Booksplease mentioning the series to me a couple of times, who nudged me into grabbing one from the library. Typically it wasn't book two in the series I found but book ten, no matter, I read it anyway. And it was fine. I remembered him and his team, no problem. This was a book with quite a complicated plot... two threads to keep an eye on and quite a long list of characters. Adamsberg and his team are quite a colourful bunch, he's a bit wierd, vague, disconnected at times, his deputy's the font of all knowledge and drinks too much, and another member of the team has narcolepsy. One of the women puts me in mind of the actress who plays Brienne of Tarth in Game of Thrones - Gwendoline Christie. Every other character, concerned with the murders, is well drawn and very individual too... I found Francois Chateau particularly chilling. The Icelandic section was superb... made me go off and reserve a crime thriller set there in fact. The supernatural connotations worked for me, they might not for those not interested in such things. I found it all very atmospheric and creepy. Having recently seen a documentary on Iceland it seemed to me Fred Vargas had got its people spot-on too. The book dishes up a huge dose of the history of The French Revolution, especially as it concerned Robespierre - the kind of person he was, his speeches, how he mesmerised everyone. Fascinating and made me want to read more about it though I would have no clue where to start. Huge subject. I did think that I would only read non-fiction for the European Reading challenge but A Climate of Fear is so very 'French' and I learnt so much that I think I must use it for 'France' for the challenge. Great post - it brings the book back to me so well. I am so glad you liked this one - I'm always a little worried when people pick up a book that I've enjoyed that they won't like it too. And I'm glad that you found the French Revolution part fascinating too. It's a huge subject, as you say, and you may like this novel by Hilary Mantel - A Place of Greater Safety. It took me a month to read it, and it has lots of characters, but I really liked it. If you're interested I wrote about it in this post. Cath, this sounds so good! I’ve wanted to read a Vargas for some time and I think I have one on my Kindle app. I do so dislike reading on a device though😩 Icelandic thrillers are always good! Thanks, Margaret! Yes, I must admit I get a bit worried when people read my recs too. Although you were on safer ground with this as I had already enjoyed that first book in the series. I've now reserved book two from the library. Thank for your link to your post about A Place of Greater Safety. As you saw I've added it to my 'want to read' shelf on GR and plan to read it as some stage. 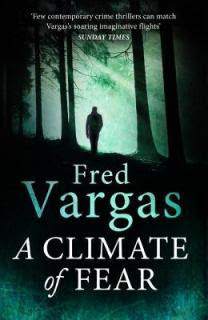 Kay: I can highly recommend Fred Vargas, her writing is excellent. I've only read one Icelandic crime book, a know the author's name but can't spell it. LOL. But the one I've reserved is different. I shall look out for whatever Icelandic books you choose this year. Pat: It's great travelling along with what people read isn't it? I love going back to Victorian London with you or to the time of the American Indians. I've already reserved book 2 by this author so it won't be abother eight years. Who knows, I might even read The Women in White this year. Don't faint!!! Peggy: I'm really annoyed that I let it go so long before reading another Vargas book. I do this from time to time. Trouble is... so many books, so little time... well... not *enough* time for all of them anyway. Looking forward to trying a few more Icelandic books this year. I too, definitely fear recommending books, films, restaurants, or just about anything else these days, as peoples' expectations and tastes differ so widely. This series does sound very good though and I assume that the stories do work well as stand alones, seeing as you have read books #1 and #9. I am also usually quite wary of translated books, however I can find nothing but praise for Fred's translator, Sian Leonard and once again you haven't flagged any issues. Hi Yvonne. 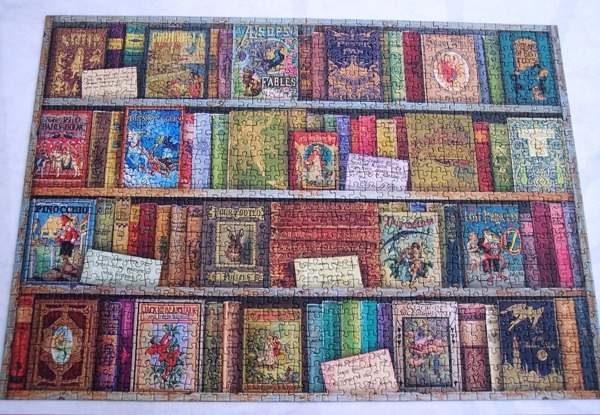 Yes, it's a tricky business recommending books. I've had it backfire a couple of times and found it embarrassing, so I'm a bit circumspect about it these days. This series is generally thought of by most as being very good. Yes, I think they do work as standalones because even with as late a book in the series as this the author still took the trouble to explain who Adamsberg's colleagues were, their little quirks and so on. I agree, translated books can be iffy sometimes but this is done wonderfully, reads as though it were written in English to be honest with you. You wouldn't guess it was originally written in French.